Daily life can become muscle exercises! 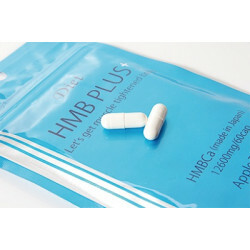 ■ "HMB PLUS+" is an effective supplement that can quickly replenish nutrients. If muscles can immediately replenish nutrients when they are disrupted during exercise, such as promoting recovery, increasing strength, relieving stress, etc., HMB can be implemented in various ways." "Reduced fat and increased muscle": 1, increase muscle protein synthesis, inhibition of muscle protein degradation and increase muscle cell regeneration, increase lean body mass; 2, increase fat breakdown, reduce body fat; 3, through activation of AMPK kinase and Sirt1, promote mitochondria The biosynthesis increases oxygen intake, increases the metabolic rate of sugar and fat, and 4, increases the basal metabolic rate to form a lean body mass. 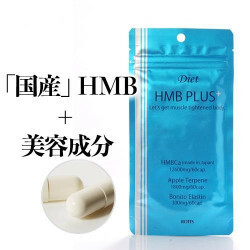 ■Equipped with apple extract, ursolic acid and HMB contained in apple are used at the same time. Elasticity is essential for skin firmness. It has the effect of binding collagen to each other. Recommended dosage: Take 4-6 capsules a day with warm water!